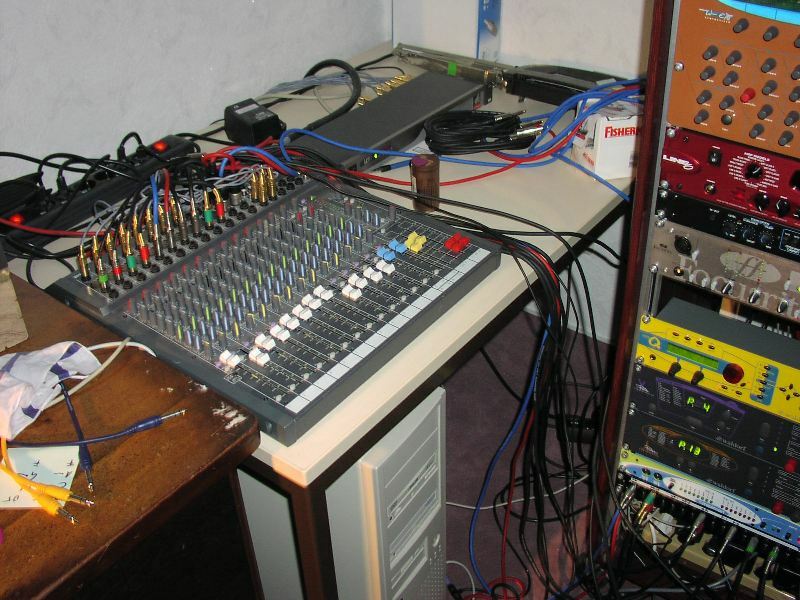 Here you can see my state of the art, full analog mixer, used for interfacing all that other gear to the Master Computer. Via the soundcard, which you can see behind the mixer. How you can tell that it's analog? Look at all the cables! Beatifully arranged, as a sujet they match even the Lakoon group.